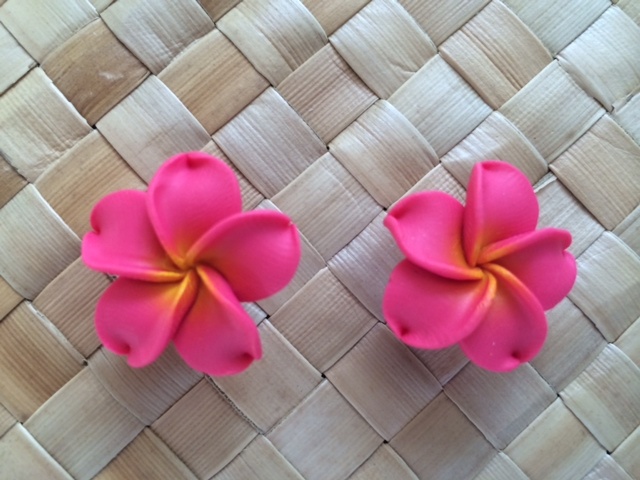 Earrings feature a colorful Hawaiian Plumeria flower design. The flowers are made up of Fimo material. Fimo, is a clay-like material that is very popular in today's fashion industry.